This fan is available to purchase on PRE-ORDER. ETA Late February. Any orders placed will be dispatched when in stock. The Mercator Eagle XL ceiling fan with DC motor and remote is an extra large 167cm (65″) diameter fan with a modern design. With its unique design, this Eagle XL ceiling fan is a great addition to any rooms decor. With 5 speeds to choose from, a remote control included, and a very quiet operation – this is the ideal ceiling fan for a bedroom or living area. Why Choose the Mercator Eagle XL DC Ceiling Fan? 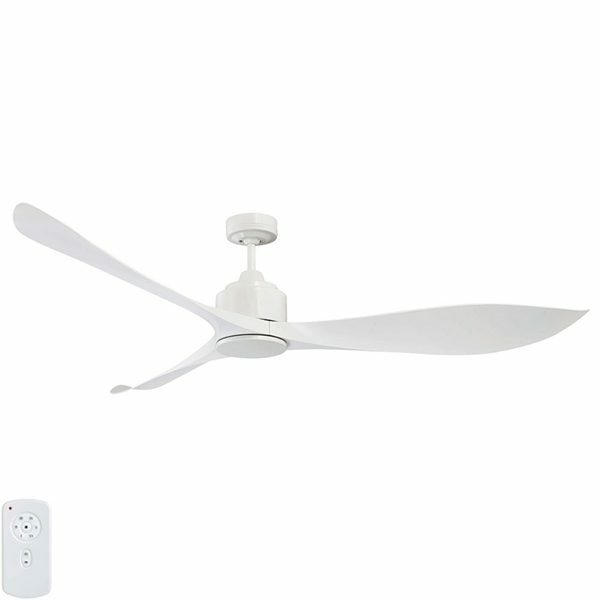 The Mercator Eagle XL DC ceiling fan with light is an extra large blade, energy saving model featuring a DC motor and a remote control as standard. With its modern elegant design, it is perfect for flat ceilings while keeping a sleek look. The Eagle XL ceiling fan have large plastic blades that are durable and offer great airflow. The Mercator Eagle XL DC ceiling fan is a highly popular model. This model utilises a DC motor, however has an internal inverter and is compatible with normal AC electrical systems. It cannot be connected directly to a DC power source. For the model with light and alternative colours please see other listings. 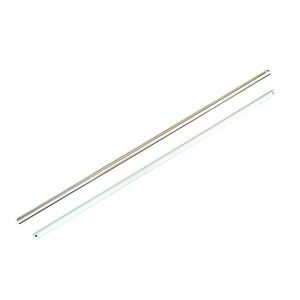 No – This product should not be installed on a raked ceiling as it may place strain on the motor and will be using the product in a way that it is not designed to be used and will void its warranty. Mercator: Includes a 2 year in-home warranty plus an extra 3 year motor warranty. Conditions apply.